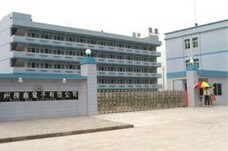 Founded in Oct., 1985, our present manufacturing facility is 18,000 sq.m. in area and employs over 600 people, which monthly production capacity at 150,000 sq.ft. Providing our customers with the best service and quality possible our company employs advanced equipment, technique and an experienced management team. It is the company's principle management policy concept to always adhere aggressive service attitude and excel our service quality to everybody. At ever changing market and continuous challenge environment in today, CSWW - CHINA will keep on its commitment to provide the highest quality and service at the lowest possible cost to satisfaction of all its customers.